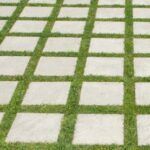 If your concrete patio, pavers, or steps need a good cleaning, scrub them with a stiff push broom and soapy water. For a very large area, you can ease the job by renting a power washer. 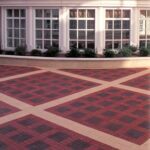 To protect the surface, you can coat it with a translucent masonry sealer. For hairline cracks in the surface of concrete, equip a caulking gun with a tube of concrete-patching compound. 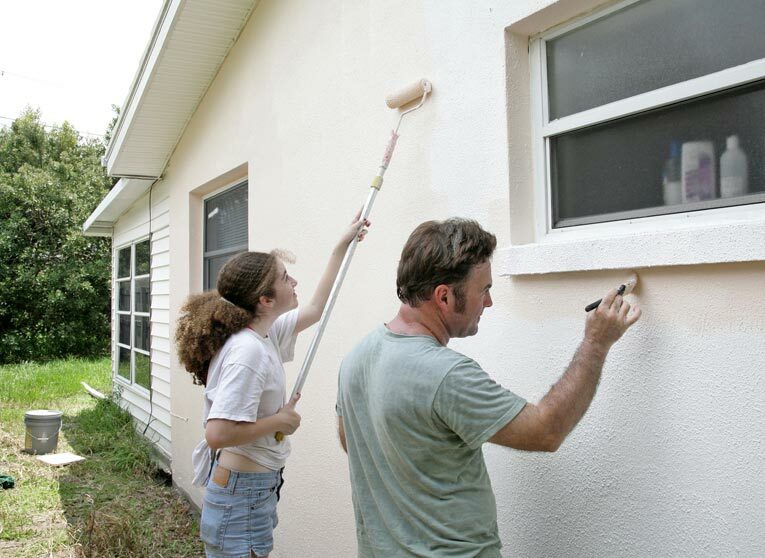 Before applying the compound, sweep the cracks free of dust and debris. Use a cold chisel to slightly widen the crack, then remove loose material. If a crack is wider than 1/4 inch, widen it a bit more with a mason’s hammer and cold chisel. Wear protective gloves and safety glasses. Again, sweep away debris and rubble. 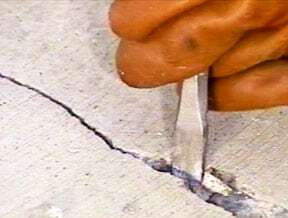 Use a trowel to pack the crack with concrete. 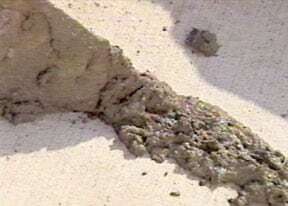 Then use a trowel to apply concrete-patching compound. When the patching compound begins to set, use a wet trowel to smooth over the patch so it is even with the surrounding concrete. Allow the surface to dry, but moisten the patch throughout the week to ensure that the concrete cures properly. In regions where freeze-thaw cycles are severe, concrete surfaces may show damage of flaking and chipping, known as spalling. For all but the most experienced home improvers, the best strategy for repairing this is to hire a concrete contractor or mason to break away and patch the damaged area. To repair the broken leading edge of a concrete step, first brush away any loose concrete and dirt. Fasten a length of scrap lumber along the front, flush with the top of the step. To attach the scrap, use a 1/4-inch masonry bit to drill a hole through each end and into the concrete riser. Drive two 16-d nails into each hole, forming a wedge, to hold the board. Fill the broken area with patching concrete, allow it to set up slightly, and then remove the board, fill the nail holes, and trowel smooth.